With over 2.23 billion users worldwide Facebook is very much ingrained into the everyday life of people on this planet. With an online database that large Facebook has become one of the most powerful digital platforms in the world. 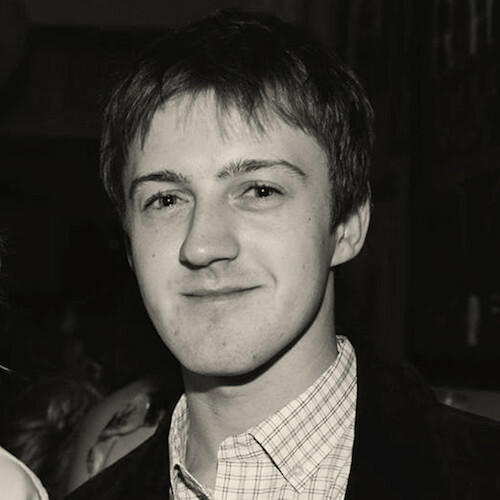 With over 60 million business pages present, it's come a very long way since Zuckerberg's college days. Considering its reach it’s vital your business is listed on Facebook. “How do I get noticed on a platform that large?” you may ask. It’s simple - optimisation is the key, your Facebook business page needs to communicate what your business stands for, utilise the key features available to businesses and ensure your core information is conveyed to potential customers at a glance. This may sound like a lot but with these five simple tips to optimise your Facebook business page you will be ahead of the curve and engaging with these 2 billion users in no time! 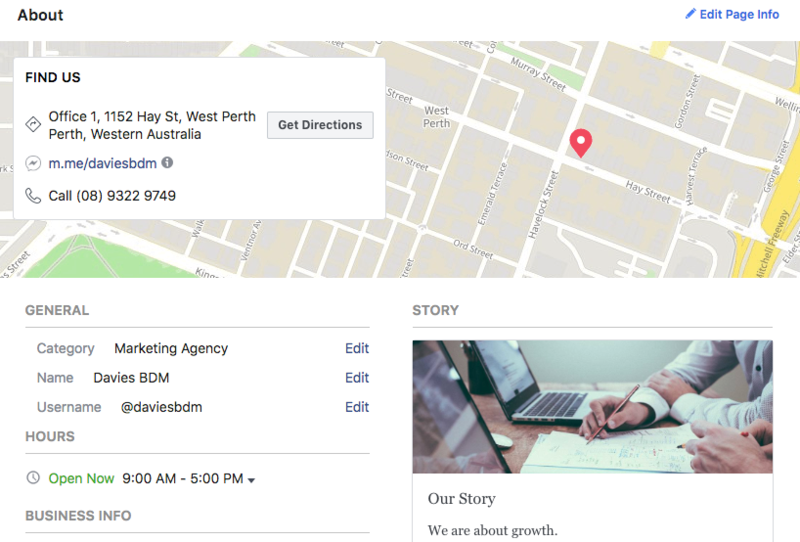 This handy feature was introduced by Facebook in late 2017 and allows a story to be written about your business visible to customers on the homepage of your business page. This is useful in conveying the background of the business, your values and point of difference. Treat it kind of like an elevator pitch, you want to be honest to the consumer and also draw them in - make your story memorable. Bonus points if you make them laugh! This can prove very effective when trying to make a lasting impression. This feature also requires a photo to be uploaded, for the best fit we recommend formatting this to the dimensions: 880 x 445. 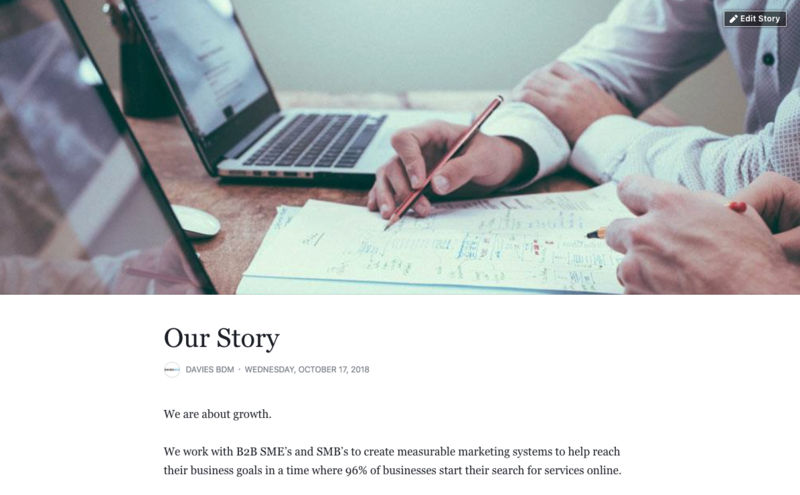 For more handy tips on formatting, the ‘our story’ text & image check out this article here. Facebook has some handy customisable sidebar buttons and in these options you can include links to your businesses services and/or products. There is also an option to write a short paragraph describing the particular product/service offering and the price. This is extremely useful and timesaving for customers. It can create a direct lead or sale and is vital information for your business page. There is nothing worse than a post with no engagement (or even criticism! ), make sure you take the time to figure out what appeals to your target audience and craft your posts with this in mind. Identifying your buyer personas will assist you with this step. Here’s a handy article on how to do this. Crafting the right content will assist in boosting engagement, the exposure of your business online and will ultimately increase your following, helping you to generate more sales and leads. Plan out a content calendar with links, photos & videos over a specific time frame. The powerful CRM software HubSpot has this handy free social calendar tool. Once you’ve made a few posts review these and see which content had the highest engagement so you can tailor your future posts based on these observations. If you can get your target audience regularly interacting with your posts you’ll find your online following will grow immensely. Making use of Facebook’s visual options in the page layout is another simple recommendation but one that is too often done incorrectly. Make sure your profile photo (we recommend using your logo here) is up to date, uploaded in high quality and cropped to fit Facebook’s dimensions accurately. Ensure the same for Facebook’s cover photo option (below are the optimum dimensions) but keep in mind this photo is a representation of what your business stands for and should be used to visually convey this. For example, if you’re a physiotherapist a cover photo with a quote and your logo again may not be as effective at gaining customers as say a real client consultation shot in your practice. Use Facebook’s cover video option to really draw in a following, it’s found that users spend 88% more time on a website that has video compared to just image and text. This principle can be applied to your Facebook business page and lets you get really creative with showcasing your brand. The ideal Facebook profile size is 360 x 360 pixels and cover photo/video is 828 x 315 pixels. Lastly a bit of a no-brainer, but you’d be surprised at how many businesses get this wrong. Make sure your contact information on Facebook is up to date including your business address, phone number, opening hours and business category. This must be consistent with your other social platforms and Google listing because there is nothing worse than an attractive lead visiting your profile, clicking the contact button and being redirected to a disconnected phone number! Remember to review this section regularly and ensure all your information is correct as this is vital. So there you have five easy tips on how to make a Facebook business page optimised to boost your online following.